Innovators in Latin American journalism joined the Knight Center for the 11th Iberian American Colloquium on Digital Journalism on April 15, sharing lessons on new storytelling formats, ways to expand reach of a site’s content and revenue models that offer hope for attaining financial sustainability. The journalists represented six cases studies presented in the new series, “Innovators in Latin American Journalism,” published by the Knight Center for Journalism in the Americas and financed by Open Society Foundations. They included Germán Andino, a comic illustrator from Honduras; Andrea Dip, a reporter for Brazil’s Agência Pública; Paola Hurtado, manager of strategy at Guatemalan site Nómada; José Luis Sanz, director of Salvadoran site El Faro; Lucas Silva, co-founder of Uruguayan newspaper La Diaria; and Alejandro Valdez Sanabria, co-founder of Memetic Media in Paraguay. They were joined by Teresa Mioli, online content coordinator of the Knight Center and editor of the series, who presented five key lessons gleaned from each of the reports that make up the project. Although many lessons can be taken away from each report, Mioli highlighted five that seemed most important and shared among the projects. Your readers form your network of support. Involve them through crowdfunding, invite them to events and community forums. These connections will make them your biggest fans. We know that the best way of telling a story is not always through text. A story can include various narrative elements, including text, graphics, comics, video, audio, gifs and more. Use these different formats to capture new audiences. Diversification of revenue sources is key for sustainability. Many sites have a mix of crowdfunding, subscriptions, grants, product sales, content marketing, events and more. Journalism is changing every day and we need to dedicate time and resources to keep up. Consider developing innovation teams and editors in your newsroom that can focus exclusively on new ways of telling stories. Journalists are increasingly collaborating on projects that cross borders. Collaboration is also a way to increase a story’s reach and guarantee publication of key findings, but the concept can also be expanded to advertising agreements between media outlets. Journalists present at the Colloquium were able to expand on many of these lessons. 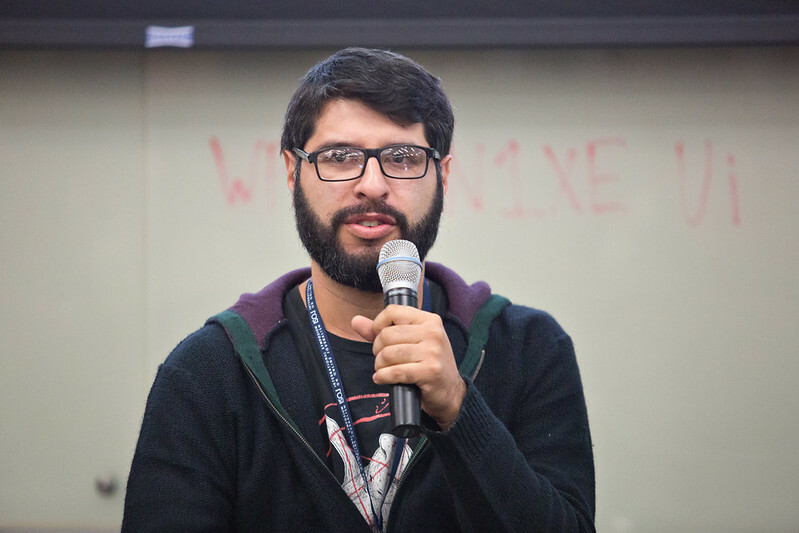 Germán Andino, who won the 2017 Gabo Award in the Innovation category for his comic report “El Hábito de la Mordaza” (The Habit of Silence) spoke about why he chose comic journalism to explain what was happening in his community. Andrea Dip, a reporter for Agência Pública in Brazil, also shared her experience working on the comic journalism project "Meninas em Jogo" (Girls in Play) alongside illustrator Alexandre De Maio. 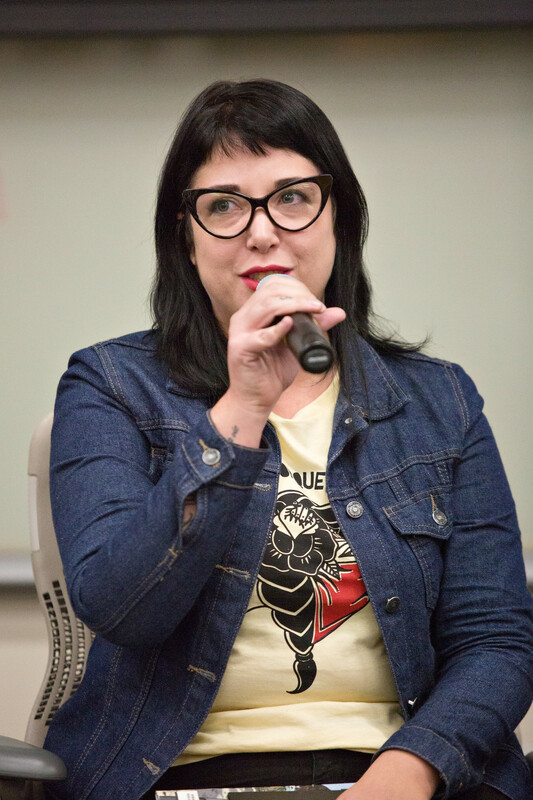 Dip explained that she was concerned with maintaining quality of the investigation, but that she believed in the potential of comics and that it also provided a way to preserve the girls’ anonymity. The report was published on Pública’s site, but were also republished by other outlets in Portuguese, Spanish, English and Italian. One of the biggest challenges for media not just in Latin America, but all over the world, is the question of attaining financial sustainability. Paola Hurtado of Nómada expanded on the topic of economic models and revenue diversification. "In 2017, Nómada already formed a sustainability model in which 47 percent is income via grants but it also has advertising sales. In addition to the sale of advertising, Nómada has explored gaining income through events, and through information services that Nómada sells beyond its readers." For Salvadoran site El Faro, international collaboration with media like The New York Times and Univision has been a way to expand the reach of its stories. "That universality of our stories became an asset and allowed us to connect with audiences not in large numbers, but in a very powerful way. The stories of El Faro have been republished - initially for free, with alliances, and afterwards charging small amounts - in international media in Europe, the United States and even South America,” said José Luis Sanz. “The New York Times approached us and told us that they were interested in working with us, that we were a direct counterpart." Alejandro Valdez spoke about the company’s interactive graphic site El Surtidor. 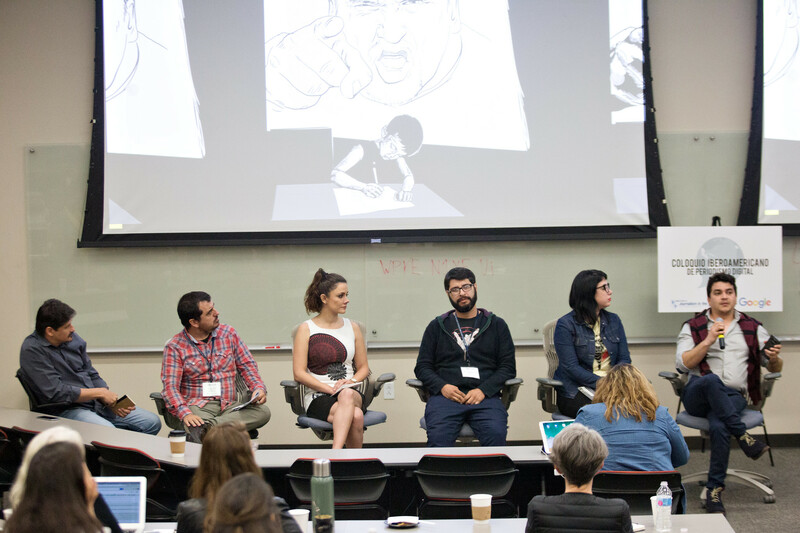 To connect with audiences, particularly youth in Paraguay, Memetic Media has developed three different projects that focus on long-form journalism and visual communication. “It is a narrative that we gave the name of 'scrollytelling' because it is based on the scroll. It is to go through the sequences through scrolling, which is such a natural gesture today. Unlike the video that requires a large number of megabytes and each megabyte counts when your data package is limited, we bet on an HTML language, which can be entered from any browser, which is lighter, and which allows control of the flow of the information,” Valdéz said. “Through these very peculiar drawings, we touch on the themes that define the country, such as land conflict, deforestation." “Innovators in Latin American Journalism” in Spanish will be available for free download as an ebook in PDF format next week. Versions in English and Portuguese will follow shortly after. In addition to reports written by Knight Center collaborators, the book will also feature four guides written by Latin American journalists on themes including design thinking, revenue, transnational collaboration and crowdfunding.